A building with heritage, 8 Northumberland Avenue was opened in 1897 as the 500 room Victoria Hotel. Boyd’s Grill and Wine Bar now occupies the ground floor lobby dining room – a splendid open space with 20ft-high walls, clad in Verde de Prato and Sanguino marble. 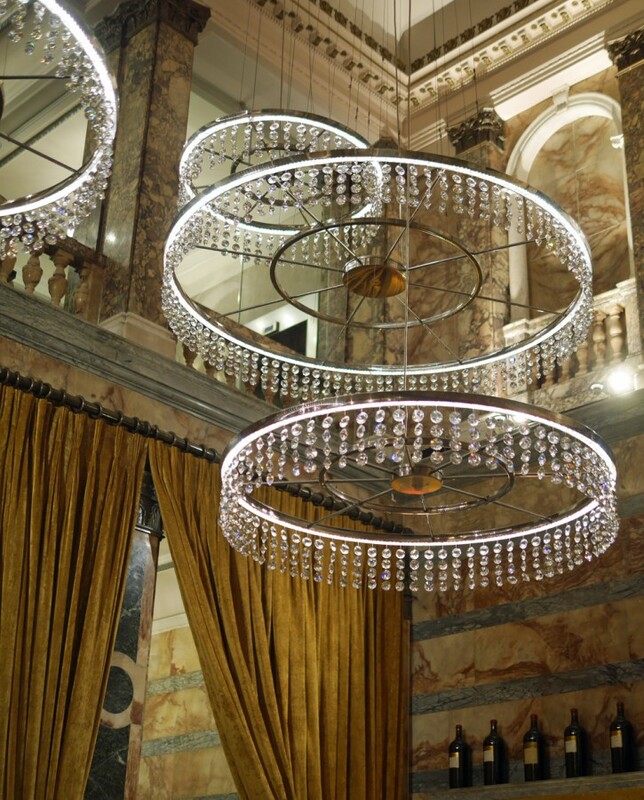 Part of the original hotel designed by Isaacs and Florence who were the architects of The Connaught, the space which is used for Boyds Grill and Wine Bar has been updated with a grand central bar and decadent chandeliers. Having spent a wonderful evening at their re-opening party I was keen to return and try the dining experience. At the party, we’d been able to meet many of the suppliers to Boyd’s and sample their produce – morsels of delicious cheeses, smoked fish, charcuterie and tasters of some of the Boyd’s signature dishes. 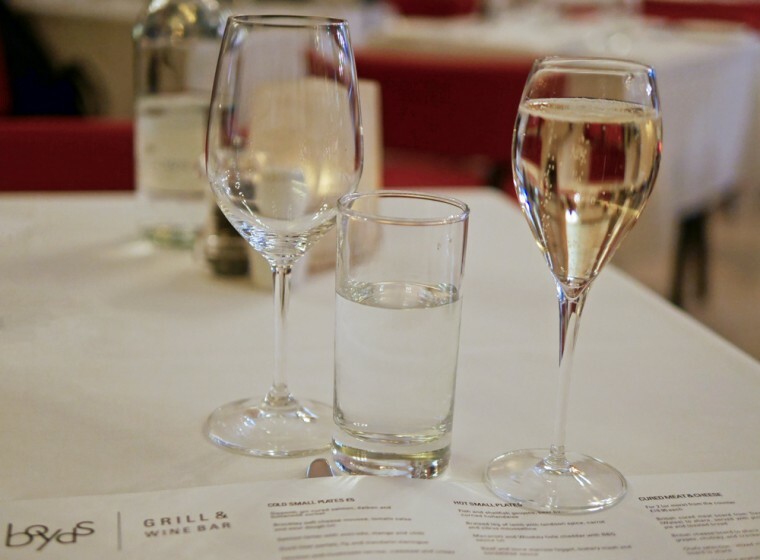 We’d indulged in a good few glasses of Nyetimber that night and that was how our next evening started, with a glass of arguably one of the finest English sparkling wines available. We started with three small plates to share between the two of us. Sipsmith gin cured salmon with daikon and buttermilk sorbet was fresh, fragrant and had that perfectly firm texture that comes with good quality salmon. 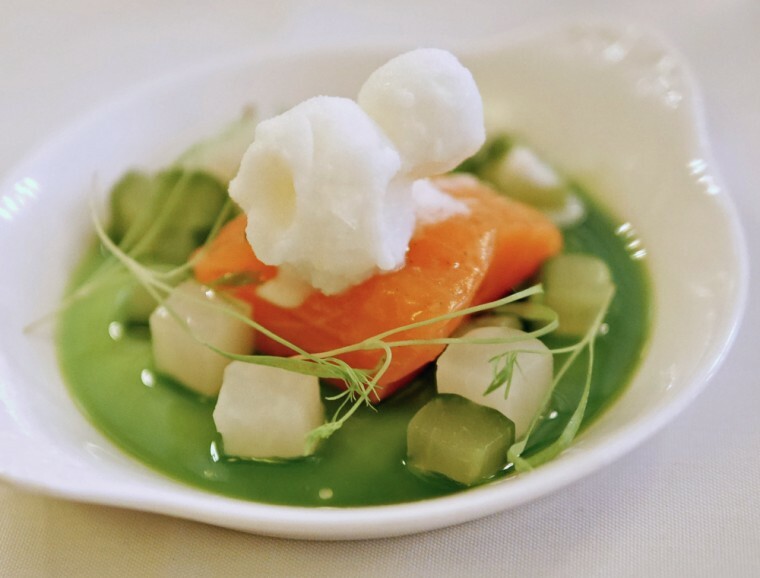 The buttermilk sorbet and creamy avocado soup made a fine contrast to the piquant salmon. 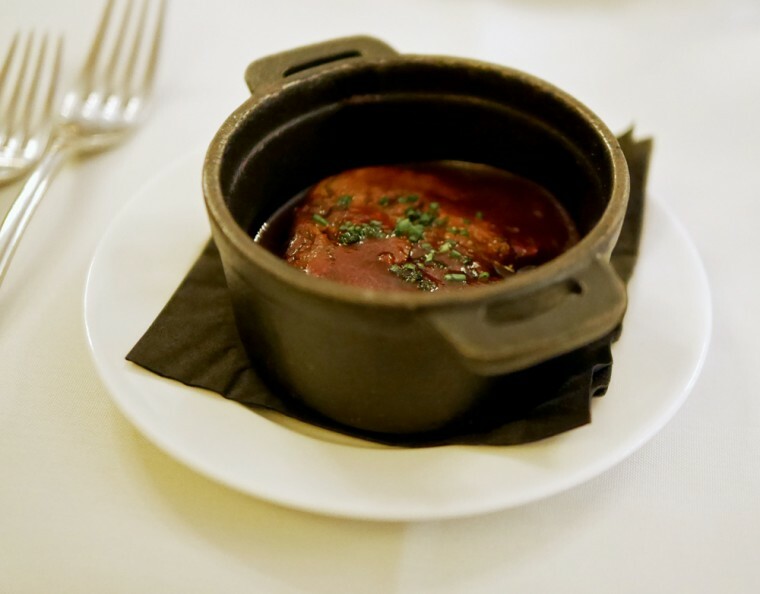 Braised leg of lamb with tandoori spice, carrot and citrus mousseline was rich and warming. I only tasted a mouthful of the sauce, but it seemed to disappear very quickly. 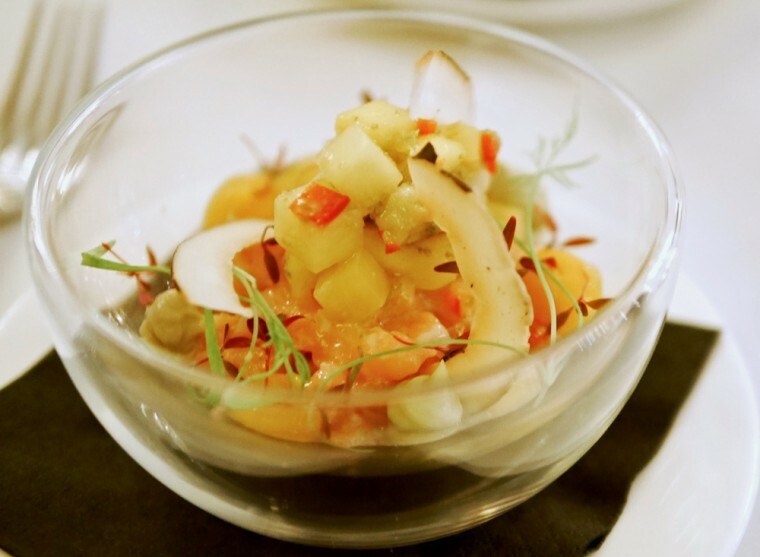 Salmon tartar, with avocado, mango and chilli, was a refreshing and light dish with well-balanced flavours and textures. 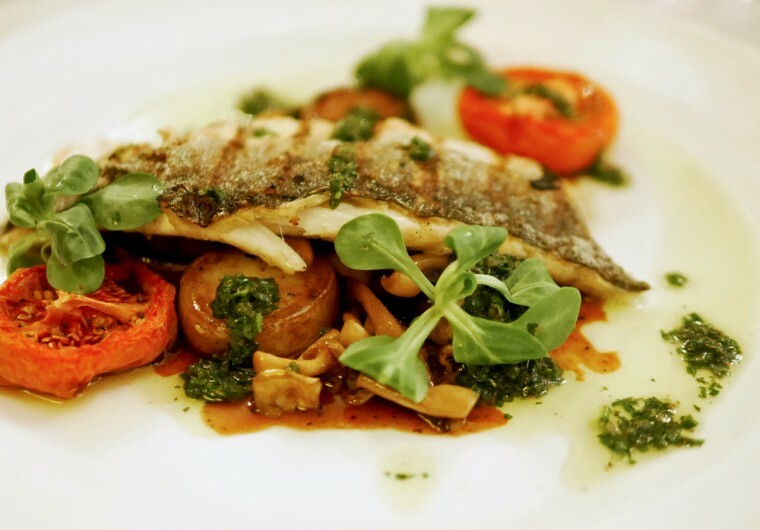 I ordered the fish of the day for my main course which turned out to be fillet of sea bass, served on a bed of cherry tomatoes and mushrooms with a salsa verde. 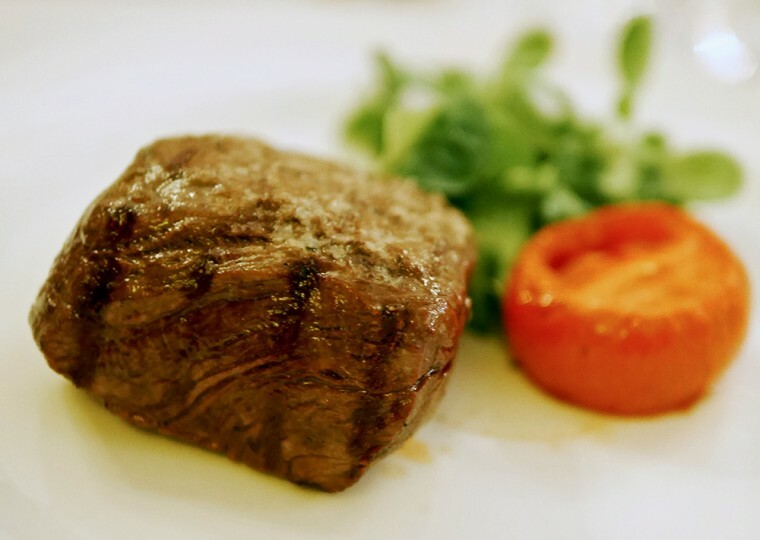 My companion picked the water buffalo fillet steak from Laverstoke Park farm which was billed as a tasty alternative to beef. Water buffalo is indeed a lower calorie and lower fat option than beef. A serving of 100g of water buffalo has 143 calories compared to 283 in the same serving size of beef. It’s good to see this kind of thing on the menu – a healthy option for those of us who still have carnivorous pinings. 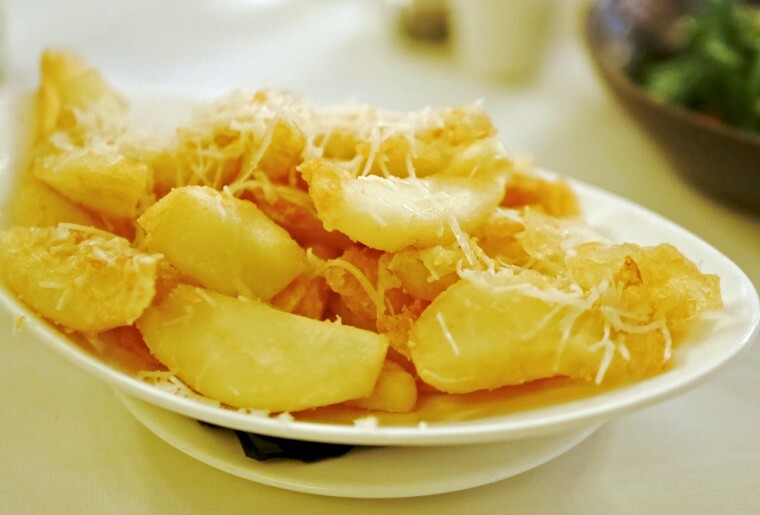 Of course, we then proceeded to spoil all pretences of healthy eating by ordering some very indulgent parmesan fries. I’d be quite tempted to return just for these – with a glass of that nyetimber and perhaps a Trealy farm cured meat board. 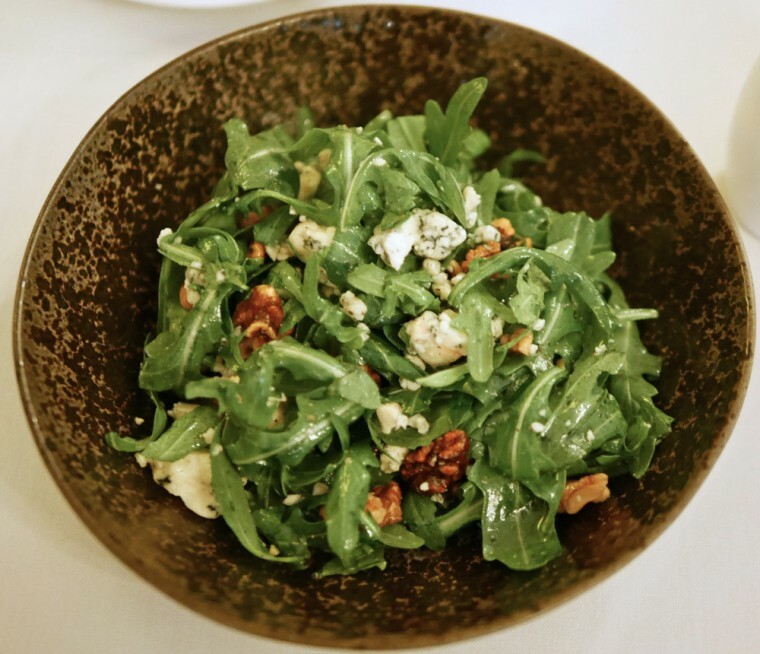 We did TRY to mitigate our sins with a rocket, walnut and blue cheese salad – a peppery mixture of leaves and cheese with the walnuts adding texture and sweetness. Of course, by now dessert was really not necessary. We opted to share a traditional plum crumble with vanilla ice-cream. Classically delicious it was a good way to end the meal. Now, I managed to lose my notes, but our wines were paired for us throughout the meal extremely well. I particularly enjoy allowing a capable restaurant manager, waiter or sommelier who knows the menu better than me, to chose the best matches for the dishes I pick. It’s a luxury and an indulgence. We both thoroughly enjoyed our meal at Boyds (and the re-launch party a few weeks earlier). 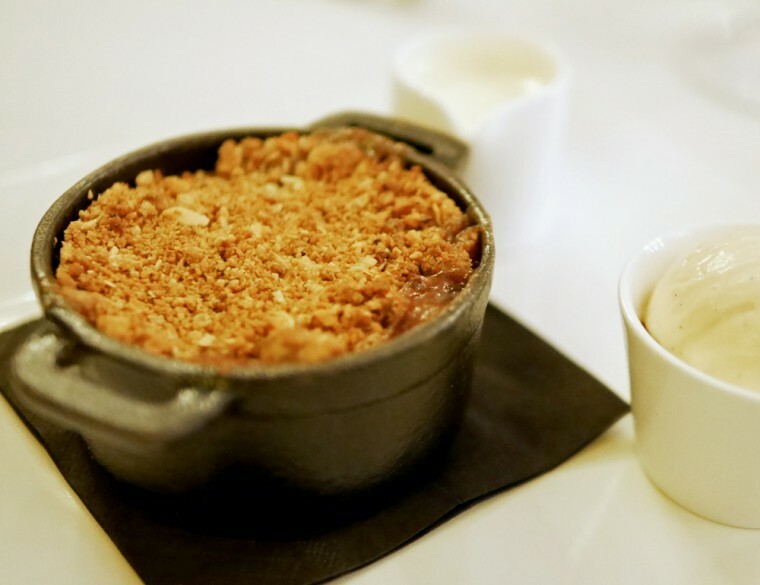 With small plates at just £5 and with main courses from around £15 upward, Boyds is a well-priced venue with excellent food that is beautifully sourced and elegantly presented. 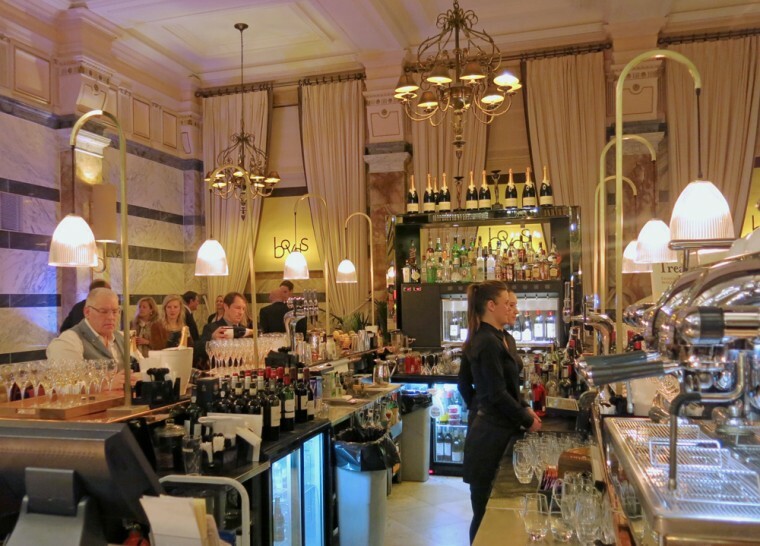 While the venue is full of Victorian grandeur, the service is friendly and the atmosphere relaxed. The interior design and the food look absolutely amazing here!